Great Ideas — 23 Last-Minute Easter Recipes!! Happy Easter Weekend!! Enjoy these Easter Recipes! I hope you are doing something with those you love to celebrate. Here are 23 last-minute Easter Recipes that you can whip up to make your weekend even more SPECIAL! Don’t forget to link up your projects! And enter to win a Lightscoop Deluxe! Lightscoop redistributes light in your photos to create a healthy glow around whatever you’re taking a picture of, regardless of the room’s lighting. I love my Lightscoop – it makes lighting so much easier to figure out and helps me create the even lighting you can see in my pictures taken at night or indoors. PS — another great ideas feature post is coming up tomorrow!! Great Ideas — 30 Easter Table Setting Ideas and Treats!! Great Ideas — 20 Easter Decor Projects! Great Ideas — 19 DIY Easter Egg Projects [Part Two]! Great Ideas — 18 Easter Egg Projects! 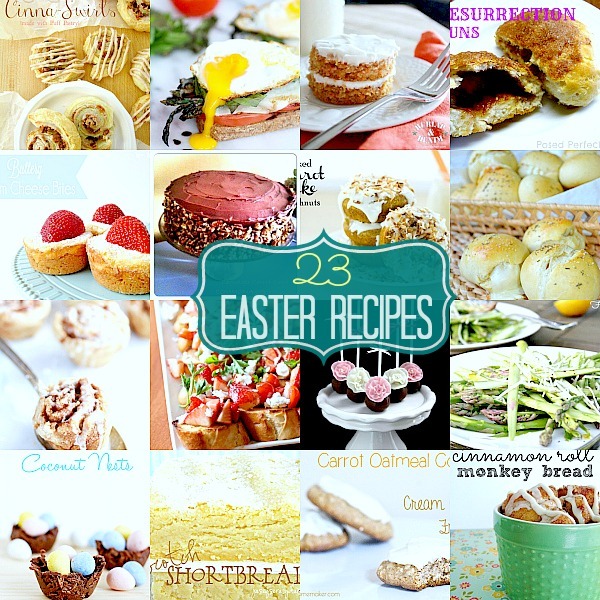 Great Ideas — 20 Easter Treats! Weekend Wrap Up Party — and Lightscoop Deluxe Giveaway!! I am already using the older version of Lightschoop and loving it, recommending to anyone, enjoying it! Everything looks beautiful! What a treat to have my Scotch Shortbread cookies features with all the other wonderful goodies in your collection! Have a blessed Easter! I would love the Lightscoop Deluxe for bouncing flash in an indoor setting! Thanks for the awesome giveaway! Thanks so much for including my Spring Flower Cake Pops in this awesome round-up!! Have an amazing Easter Weekend. What a neat giveaway, I had never heard of the lightscoop for my bridal shower! Thank you SO very much for including my asparagus in this fantastic collection! 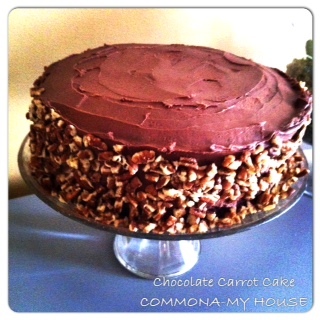 Wow, thank you so much for including my Chocolate Carrot Cake!!! I love seeing everyone’s ideas each week- so inspiring. Happy Easter! Yummy! All of these are such great ideas! Thank you for featuring my Cinna-Swirls! Have a fun weekend! Thank you for including my Cheesy Dinner Rolls! Have a great weekend and Happy Easter! So many wonderful ideas! I’ll be trying a few this weekend! Thank you so much for featuring my lemon hot cross buns and strawberry tomato bruschetta! Happy Easter! You made my morning – thanks SO much for featuring my cinnamon roll monkey bread!! Happy, happy Easter weekend!